The only question of law arising from the order of the Tribunal is, whether, in the facts and circumstances of the case, there could have been a suo motu revision by the Commissioner of Income Tax under Section 263 of the Income Tax Act,1961 [for brevity “IT Act”]. The facts coming to the fore are simple but pose quite complex questions of law on partnership necessitating reference to the Partnership Act, 1932, the precedents thereunder and the provisions of the IT Act, which we are obliged to answer in view of the arguments raised by both sides. On facts, the assessee, who is the respondent herein, was a partner of a firm which commenced on 05.04.1979. The partnership firm was engaged in running a hospital. The firm was reconstituted several times, over a period of time with different partners and eventually the assessee and his daughter alone were the partners. At the outset we have to notice that there is no definiteness as to the exact share of each of these partners for want of sufficient material. Any way, on 31.03.1997, the firm, consisting of two partners, i.e., the assessee and his daughter, was dissolved and the daughter released her share in the firm to the exclusive share of the father, the assessee herein. The assessee also took his share of the assets of the firm and the hospital belonged exclusively to him on such dissolution of the firm. It thus became a proprietorship and later it was sold on 18.03.1999 for Rupees Five Crores. The assessee filed a return for the year 1999-2000, showing the apportionment of the consideration relating to building, furniture, electric and sanitary fittings, equipments and machinery, land, goodwill and trademark of the hospital and nursing home. With respect to the building, the assessee offered short term capital gains for assessment. Consideration obtained for land, goodwill and trademark, which come to Rs.3,75,00,000/-, was offered for taxation as long term capital gains; but, however, claimed exemption insofar as having invested in UTI as per Section 54EA. The Assessing Officer allowed the claim of exemption from long term capital gains, which was sought to be suo motu revised under Section 263. The Assessing Officer in the meanwhile initiated proceedings under Section 147 read with Section 148 for escapement of income. Then the Commissioner dropped the proceedings initiated under Section 263 for reason only of the reassessment attempted. The Assessing Officer however, dropped the proceedings under Section 148, upon which again the Commissioner invoked the power of suo motu revision under Section 263, which order is seen at Annexure-D. On further reassessment based on suo motu revision, the Assessing Officer, by Annexure-C order, rejected the claim of long term capital gains for land, trade mark and goodwill and assessed the entire capital gains in the hands of the assessee, being the exclusive owner from the date of dissolution of firm, as short term capital gains. An appeal was filed, which was rejected by Annexure-D order. A further appeal to the Tribunal went in favour of the assessee; the Tribunal having found the order under Section 263 to be not sustainable. 5. The Tribunal found, on a reading of the order of original assessment that the Assessing Officer had considered the question of long term capital gains and allowed it. The Tribunal also found that the assessee had given all the details and particulars and extensive computation of income before the Assessing Officer. The mere fact that there was no elaborate consideration is irrelevant, was the Tribunal’s finding. It was categorically found that it cannot be said that the Assessing Officer had not applied his mind. The Tribunal referred to the decision in N.Khadervalli Saheb & Anr. v. N.Gudu Sahib (Decd.) & Ors. [(2003) 261 ITR 1 (SC)], which held that a firm is not an independent entity and its partners are the real owners of the assets of the firm. Relying on the binding declaration that on dissolution of the firm there is no separate assignment of ownership to the partners and there is only allotment of the properties in proportion to the shares, it was found that there was nothing to show that the view of the Assessing Officer was erroneous. CIT v. Max India Limited [295 ITR 282 (SC)] was also relied on to find that the view adopted by the Assessing Officer is permissible in law and when the Assessing Officer adopts one of the two courses of law, merely for the reason it has resulted in loss of revenue, invocation of Section 263 of the IT Act is not enabled. (i) Whether, in the facts and circumstances of the case, it can be said that the invocation of Section 263 of IT Act is bad in law for reason of the view taken by the Assessing Officer being one of the courses permitted by law? (ii) Whether, in the facts and circumstances of the case, the Tribunal was correct in affirming the view of the Assessing Officer that with respect to land, goodwill and trademark the assessee can return long term capital gains and claim exemption under Section 54AE, on the presumption that there is no transfer effected on dissolution of the firm? (iii) Whether, in the facts and circumstances of the case, ought not the Tribunal have found that the entire property of the firm having been transferred to the assessee by way of allotment of share as also release of share of the other partner the assessee was entitled to claim only short term capital gains relatable to the date of dissolution of the partnership firm? 7. The learned Standing Counsel for Government of India (Taxes) submitted that there was a dissolution of the firm and the properties came to the exclusive possession of the assessee only on 31.03.1997. On sale effected on 18.03.1999 the assessee was in possession of the properties as its exclusive owner only for less than 36 months, which makes the asset a ‘short term capital asset’ under Section 2(42A). It is also pointed out that with respect to the buildings, the assessee had claimed only short term capital gains and there could not be any different claim made for the land or for goodwill and trademark. Sub-section (4) of Section 45 is specifically pointed out to indicate that on dissolution of the firm though under the general law of partnership there is only allotment of the assets in proportion of the share of the partners, under the IT Act there is a specific liability to tax. Section 45(4) treats the profit or gains arising from the transfer of a capital asset by way of dissolution of a firm chargeable to tax, as the income of the firm of the previous year in which the said transfer takes place. Hence, under the IT Act there is a transfer effected, which view is further fortified by a decision of a Full Bench of this Court in K.I.Viswambharan & Brothers v. CIT [(1973) 91 ITR 588]. Specific reliance is also placed on the decision in Addanki Narayanappa v. Bhaskara Krishnappa [AIR 1966 SC 1300] to urge that when the partnership subsists, neither of the partners can claim a right on the partnership assets even to the extent of his share in the business. Only on dissolution and the exclusive rights coming into the possession of the partner could there be such exclusive right claimed, which, again, indicates that the partner so acquiring the rights on dissolution could only claim exemptions relatable to the date of dissolution of the firm. The learned Counsel for the assessee relies on the decision in Sunil Siddharthbhai v. CIT [(1985) 4 SCC 519] to argue that on dissolution of a partnership firm there cannot be found a transfer, as held by the Hon’ble Supreme Court. (2003) 261 ITR 1 (SC) according to the revenue fortifies their stand. CIT v. Kwality Steel Suppliers Complex [(2017) 14 SCC 548] was placed, to put in proper perspective the powers conferred under Section 263 and the situations in which such power could be invoked. (ii) it is prejudicial to the interests of the Revenue”. Both these conditions have to be satisfied; for the Commissioner to invoke Section 263 and simply because the order of the Assessing Officer was prejudicial to the revenue, it cannot be a reason for suo motu revision under Section 263. The question raised as to whether the Tribunal could have faulted the invocation of Section 263, in this case is inextricably linked with the other questions of law raised from the order as to whether, in the facts and circumstances of the case, on dissolution of the firm there is only allotment of shares or whether there existed a transfer inter-vivos. 10. Addanki Narayanappa was concerned with the issue of whether a document styled as an ‘agreement’ was registrable or not, since the recitals indicated one of the partners having given up the right with respect to certain assets of the firm and another party having given up their right in a machine. The learned Judges found that the document itself does not create any transfer and it only spoke of a transfer which was effected earlier in time. The learned Judges, found that the partners would not be able to exercise their rights individually on the assets of a partnership firm when the partnership subsists even to the extent of their share in the business of the firm. Their right, while the firm subsists is only to share in the profits. After dissolution or on retirement, the partner gets an exclusive right to claim the assets to the extent of the value of his share after deduction of liabilities and prior charges. When he takes such share there is no transfer effected; the partner only takes exclusively what he held in common before dissolution or retirement. “… that the distribution of the assets on dissolution does not amount to a transfer to the erstwhile partners. What the partner gets upon dissolution or upon retirement is the realisation of a pre-existing right or interest” (sic) (page 529). The allotment of assets of the partnership firm on dissolution being the realisation of a pre-existing right, it was found to be not amounting to a transfer of asset. However, with respect to the bringing in of assets of an individual partner into the common kitty, it was held that there is necessarily a transfer, coming within the meaning of Section 56 of the IT Act. The assessment made was set aside finding that the mere statement of the valuation of the assets, brought in by the partner into the common kitty, in the books of accounts of the firm would not result in any assessment on grounds of capital gains. This was on the reasoning that the evaluation of such assets do not occur till there is a dissolution effected. Hence in the case of bringing in assets of an individual partner to that of the partnership there is a transfer effected, which however cannot be assessed to capital gains, since there can be no evaluation of assets in the hands of that partner who was the erstwhile owner. 12. In the present case, we are not concerned with the mere dissolution of a partnership and the partners taking the assets of the firm in accordance with their individual shares. Admittedly the partnership firm, at the time of dissolution, had two partners. On dissolution, the daughter of the assessee, who was the other partner, had also released her share in favour of the assessee. In such circumstance, it cannot be said that the assessee had merely taken away a pre-existing right in the assets of the firm. There is absolutely no dispute to the fact that the assessee was a partner in the firm and on dissolution was entitled to the assets in proportion to his share in the firm; in which he definitely had a pre-existing right. But, on the release of the share of the other partner, there is a transfer occasioned and the rights over that property accrues to the assessee, only on such release being effected by the other partner. On facts, we find that the share of the assessee which he received exclusively on dissolution being relatable to a pre-existing right he had, as one of the partners; to the extent of such share, the assessee’s claim for exemption from long term capital gains for reason of the deposit made to UTI under Section 54EA has to be allowed. However, on the value of the shares in which the other partner had a pre-existing right; which was released in favour of the assessee, the right over it can be claimed only from the date of release and if subsequent sale falls within the 36 month period, necessarily the assets are to be assessed as short term capital gains to that extent. The Tribunal has not gone into the facts and has proceeded on the basis that the allotment of shares on dissolution would not result in a transfer, which, according to the Tribunal, is a legally permissible option available to the assessee. We, on the correct law applied to the peculiar facts, do not agree with the Tribunal on the acceptance of the claim raised by the assessee for long term capital gains to be a permissible view at least to the extent of the value of the assets released in his favour by the other partner on dissolution. To that extent, the finding of the Assessing Officer in the original order was an erroneous finding, which was also prejudicial to the interest of the revenue. Hence, we are of the opinion that the Commissioner was perfectly justified in invoking the powers under Section 263. To the extent of the share the assessee had prior to dissolution and the valuation of that share, which was allotted to his share on dissolution; we concur with the order of the Tribunal insofar as allowing the exemption available from long term capital gains for reason of compliance with Section 54EA. There is no ground for a suo motu revision to that extent since the Assessing Officer’s finding on that count is not erroneous. We still have to deal with the question raised by the learned Standing Counsel with reference to sub-section (4) of Section 45. The provision according to us enables assessment at the hands of the firm, of the profits and gains arising inter alia from the dissolution of a firm. Which, on application of general principles of partnership, cannot be assessed in the hands of the partners who take away their pre-existing right over the capital assets, which has been held by the various precedents to be not resulting in any transfer of capital assets. The provision only enables assessment at the hands of the firm and does not deem the allotment of capital assets in proportion to the share on dissolution or otherwise as a transfer. Herein, we are not concerned with whether the firm was assessed at the time of dissolution and are only concerned with the erstwhile partners assessment as an individual; that too of the consideration received from the sale of the assets he held exclusively after the dissolution of the firm, which sale was also subsequent to the dissolution. We, on the findings above, answer the questions of law partly in favour of the Revenue and partly in favour of the assessee. As we noticed at the outset, the exact shares of the partners are not placed before us and the valuation is also a question to be decided on facts. We hence remand the matter to the Tribunal, before whom the assessee shall produce the deed of dissolution and release executed in the year 1997-98. We set aside the order of the Tribunal in I.T.A.No.364/Coch/2005, and restore the order under Section 263. With respect to the other appeal [I.T.A.No.721/Coch/2006], the Tribunal has rejected the same as infructuous, since the order under Section 263 was interfered with. The said appeal would stand revived, to be considered only to the extent we have directed above. The Tribunal shall, in accordance with the law as laid down herein above, decide the quantum of long term/short term capital gains, determining the same at the valuation as seen from the dissolution deed, and if lesser than the market value as on the date of release of the share of the other partner in the assets; on the market value. It is made clear the value of the assets to the extent the assessee obtained on allotment of his share on dissolution, will be available to be claimed as long term capital assets and would also be entitled exemption under Section 54AE. The appeal is partly allowed as indicated above. Parties are left to suffer their respective costs. This entry was posted in Section 147, Section 263, Section 54EA and tagged 407 ITR, In favour of Revenue (Partly), Kerala High Court. 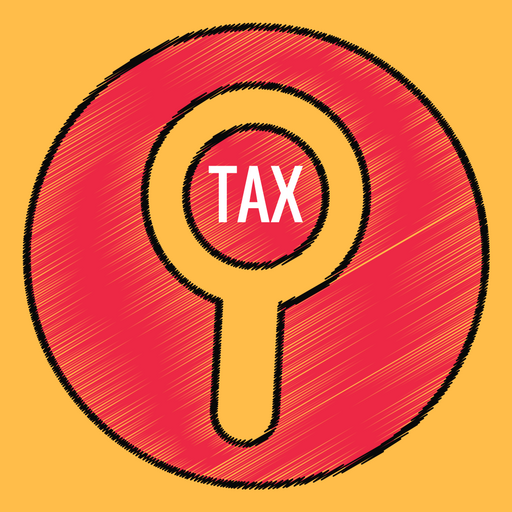 Madras H.C : Whether commission paid by an exporter to a non-resident agent and/or a foreign agent for service provided outside India for procuring orders is taxable in India ?